DALLAS – Sports car ace Jon Fogarty says Hyundai’s management team “needs a vision of who they want to be” in the door-slamming world of sedan sports car racing. 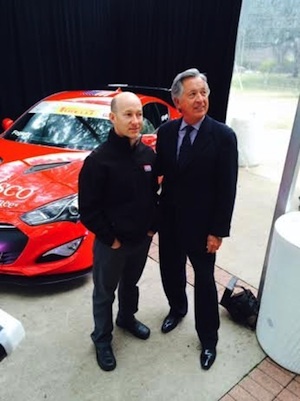 “It is my ambition to be a part of forming what that vision is,” said Bob Stallings, owner of the Hyundai Genesis Coupe Fogarty will drive for GAINSCO/Bob Stallings Racing during the 2015 Pirelli World Challenge series. Prototype racing became a part of Stallings’ past in December, with the announcement that his organization was abandoning the merged and fledgling IMSA TUDOR United SportsCar Championship for the PWC. Fogarty, who teamed with Alex Gurney to win GRAND-AM Rolex Sports Car Series Daytona Prototype championships in 2007 and 2009, will drive the Hyundai “Red Dragon” in the World Challenge’s GTS class this spring. Recall that GAINSCO/Bob Stallings Racing suspended operations of its Corvette DP program last Feb. 25, one month after Memo Gidley’s life-threatening crash less than three hours into the Rolex 24 at Daytona, North America’s premier endurance event. Jon Fogarty and Bob Stallings unveil the Hyundai Genesis Coupe show car for GAINSCO Insurance employees in Dallas. engineering at BMW’s M performance division, will join the Hyundai Group on April 1. A native of Germany, Biermann reportedly will be based at Hyundai’s R&D Center in Namyang, South Korea, as the company’s second-highest foreign executive _ after German-born design chief Peter Schreyer. During a career at BMW that began in 1983, Biermann oversaw development of the latest generation M3, M4, M5 and M6, along with a limited lineup of M Performance models. The other powerbrokers in the Hyundai corporate food chain are Chairman Mong-Koo Chung and Dave Zuchowski, chief operating officer of Hyundai Motor America. 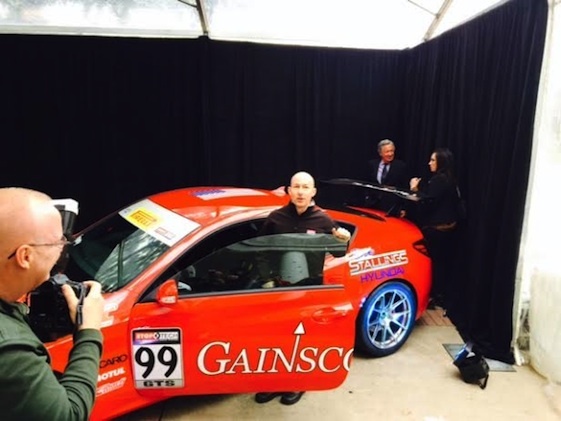 Fogarty and the bright red Genesis show car were the stars of a program celebrating the 10-year anniversary of GAINSCO’s entry into the insurance business. The company is marking its return to racing via the theme “We are GAINSCO Full-Throttle into the Next Generation.” Stallings said the show car will be on a coast-to-coast touring schedule for 280 days a year, visiting the 9,000 independent agents selling the company’s product. Fogarty said that power plant will be Hyundai’s direct-injection 3.8-liter V6, key component of a project that otherwise is being built from scratch. “It is that and then some,” Fogarty said during an interview with RacinToday.com. 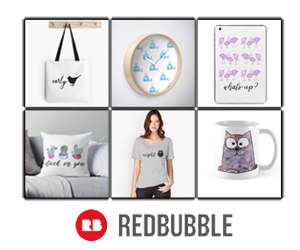 “If you start from scratch, then you’re free to design from the ground up. When you’re dealing with a production car, you’ve got to take something and disassemble it and then re-assemble it in a similar but different fashion. So it’s really a lot more work than just from scratch. Stallings said the chassis is being built in Dallas, the engine in California. “The second engine will be a slightly different variation of that one,” Stallings said. “Terry Wilbert, our team manager, is building everything. We have some of our own staff building but we also have vendors building certain parts. Bob Stallings Racing was formed in 2001 and entered the professional sports car ranks in 2005, with Gurney and Fogarty quickly establishing the team as a road-racing juggernaut. The pair posted 16 victories, 31 poles and those two DP championships in 112 races over nine seasons. Any number of fans have emerged via social media as critics of Stallings’ decision to exit Prototype racing in favor of the PWC’s formula for various classes of sedans. Those fans-turned-critics maintain that Stallings and Fogarty are taking a step-down on the competition ladder. “Yeah, of course,” said Fogarty, who holds the record for most GRAND-AM Rolex Sports Car Series poles with 25. “If you were to base everything just on what sort of lap times the vehicle is able to produce on any given track, I think that’s a pretty limited and one-dimensional view of motorsport. Technologically speaking, yeah, the car is not as sophisticated but it’s still a super-competitive environment. GT racing is a different animal altogether. There’s various forms of it globally. Pirelli World Challenge is now one of the prominent ones and it’s competitive. So I don’t think we’re making a step backwards in any way, shape or form relative to the level that we have to compete at. Stallings said the “charisma and the persona” of the Red Dragon created an unanticipated emotional connection with countless fans. “I’ve never seen a race team have that,” Stallings said. “And so many people talked to us about it that I just couldn’t let it die. The Red Dragon is our team, it’s our culture, it’s our belief in each other and it’s our connection with our fans. It’s a unique way of racing.